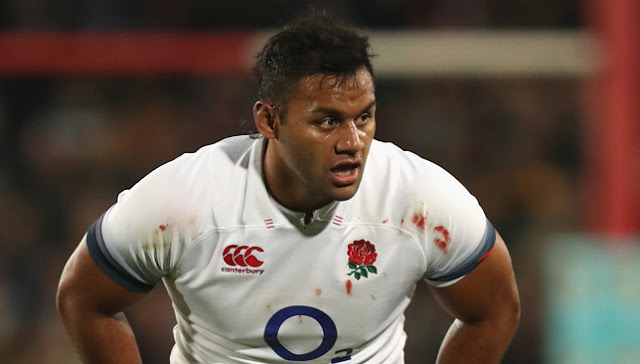 England number eight Billy Vunipola refractured his arm during England's defeat by South Africa on Saturday. The 25-year-old only returned to action in April after four months out with a broken right arm. Vunipola was forced off with the injury before half-time in Bloemfontein, six months after first breaking his arm in Saracens' European Champions Cup tie with Ospreys. He will return to London on Sunday for further assessment. Brother Mako Vunipola is also returning home for family reasons, while Ellis Genge has already flown back to the UK because of a knee injury picked up in training. The Leicester Tigers forward has been replaced in the squad by Alex Hepburn. England lost the second Test 23-12 as South Africa wrapped up the series 2-0 - Eddie Jones' side's fifth defeat in succession. They meet South Africa again on Saturday at Newlands. Vunipola's run of injuries dates back to the 2015 Rugby World Cup when he was ruled out of the tournament after suffering knee ligament damage against Wales in the pool stages. A year later, in the autumn of 2016, he missed a chunk of the season following more knee damage, before returning for the end of the 2017 Six Nations and Saracens' retention of the European Champions Cup. A long-running shoulder problem forced him out of the British and Irish Lions tour of New Zealand, and he had knee surgery last autumn. He was then ruled out of this year's Six Nations after breaking his arm for the first time.